#Salon & Spa business needs to be managed and organized in an innovative and creative fashion to generate high levels of customer satisfaction creating a working climate conducive to a high degree of personal development as well as economic satisfaction for employees. The biggest challenge in #Salon & Spa business is retaining people. However, it will never be an issue running one or two units of #beauty Salon & Spa business when the manager has comprehensive knowledge on #management skills and the power to listen to employee issues, fixing them, giving time, attention and care for his team members. It can be 8-10 members per unit. #Management skills are tested when you have multiple units. This can only be acquired when good #management practices for people management comes into play. Primarily, it starts with the #right hiring. When we are speaking about right hiring, it indicates skilled personnel with sound professionalism, attitude, and temperament aligned with the organization’s work style. There are various techniques to shortlist people who match the attitude parameters. Once hired, there can be a process by which one can monitor their conduct regularly and change in behavior can be examined. Training classes will help to improve employee product knowledge and skills which can be conducted on a regular basis. With the #technical skills, there should be training on #corporate ethics and behavior. The training should take place at least once in 3 months for 2-4 days depending on performance parameters. Most importantly business managers should be in continuous communication with the team to spur motivation all the time. After all, #Salon & Spa business is mostly for the people and being the biggest asset they should occupy the largest share of mind and other resources. Remember, your organization is as good as your team. Make your team members the biggest ambassador of your brand and watch your business grow with minimal expenses spend on marketing. 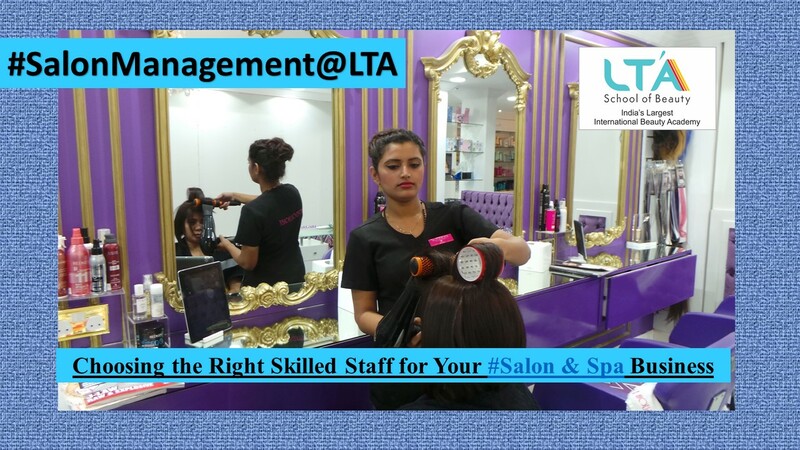 #Management of your team is one of the most important skills that Salon & SPA manager needs to process successfully. Management is a skill which needs to be learned. #LTASchoolofBeauty bless you with happy and successful business!